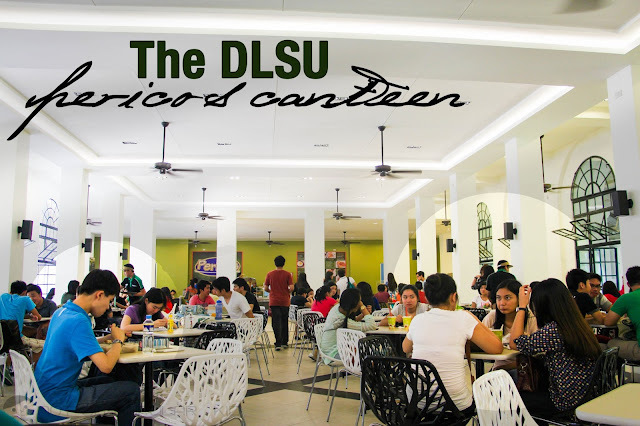 If you are a student of DLSU, by now, you should have tried dining in Perico's canteen, or at least know that it exists. Just in case you don't know (especially for 113 students), Perico's replaced the Animo Canteen just this academic year. In fact, this news became viral and somehow controversial because the former canteen had been there for quite a number of years already. Anyway, looking at the bright side, this was also good news since we are now offered with new and exciting variety of dishes. Trivia: You may still enjoy some of your old favorites from the Animo Canteen in the food stalls located in the Br. Bloemen Hall (replacing the Zaide Canteen) such as the queggs, squid balls, Jamaican patties and more. I haven't actually tried a lot of dishes in Perico's because I normally eat with my friends, and they are often reluctant to have lunch there. Fortunately, there was one time when everyone was too lazy to go out of the campus, and so we ended up here. (I only have two dishes to share as of now, but I will update it as soon as I try more, so you may want to check back once in a while). If you are in a hurry, you may prefer having those that were cooked by batch process. The offered dishes change daily. As an alternative, you may want to have something that will be prepared upon order. Of course, you will need to wait for these dishes to be served up. Most of the students' favorite are of this type. It looks great right? It was my friend, Myles, who ordered this, and I just asked for a small portion, so that I would have an idea of how it tastes like. 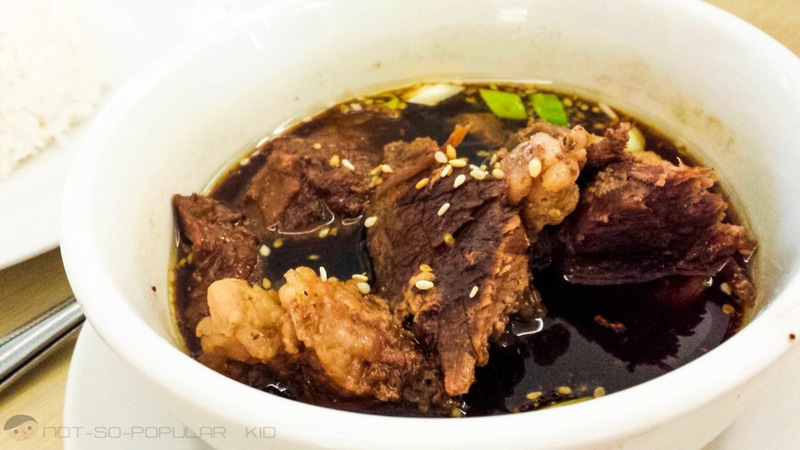 Here's what he said about the Korean Beef Stew: "Malasa naman yung Beef Stew pero medyo matigas yung meat at malitid kaya mahirap nguyain." And I agree with this. Do I recommend it? Well, still yes because of its awesome taste and aroma, but if you put high premium on texture, you may want to skip this. I was having a hard time trying to figure out what I want, so I asked a crew what is their best seller. She recommended the Beef Tapa, and giving my trust to the lady, I decided to go for it. It wasn't a bad decision, because I got to enjoy this meal! The taste of the tapa was what I really prefer - tasty and somehow sweet. However, the only issue I had the tapa was the same with the one above - the texture, brought by the presence of much litid (tendon). Well then, do I recommend it? 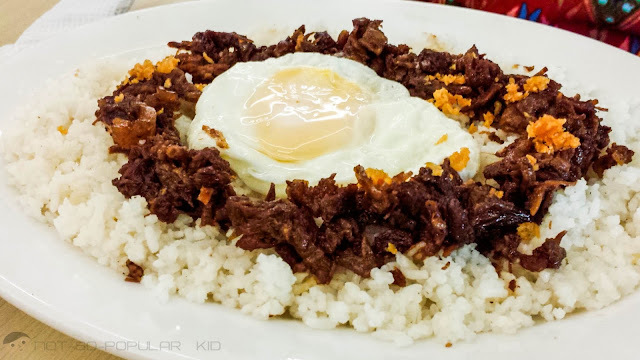 Still yes especially if you love the semi-sweet version of Tapa, besides, it is relatively affordable when you compare it with that of offered by Tapa King. However, I still prefer the Tapsilog of RAP Steaks and Cakes because it is served with 2 eggs, and the price is just the same at P95. For now, this concludes my blog post about Perico's, but when I get the chance, I will be updating this. Share to us what you think are great dishes we should try by commenting below!